This treasure trove of gourmet goodness is going to be the hit of the season. A magnificent display of savory and sweet delights fills this handsome chest. 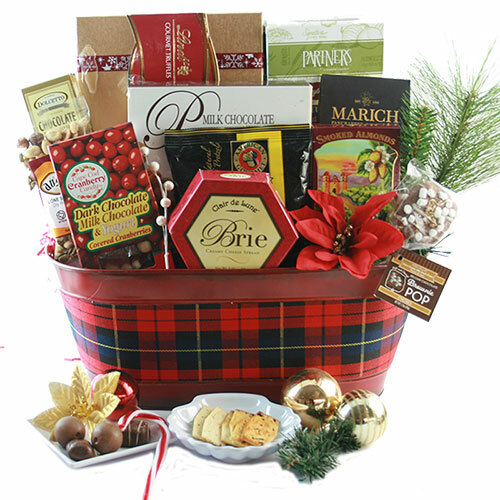 From rich velvety chocolates to artisan gourmet cheese and crackers. It’s simply a site to see.